It has long been felt by students that systematic archæological researches ought to be undertaken in Cyprus and it has often been made a subject of reproach against this country that no such researches have been attempted since the island came under English government. Private and casual excavations at various sites have already yielded results of the greatest importance for the study both of Greek art itself and of the foreign influences which surrounded its cradle. Such excavations have lately been prohibited by authority, but not until their fruits had convinced those interested in the subject that regular and scientifically-conducted researches should, if possible, be set on foot under official sanction without delay. 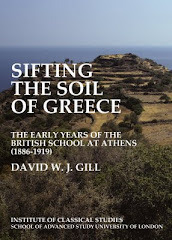 The CEF was supported by the BSA, the Hellenic Society, the Universities of Oxford and Cambridge - each gave £150 to the Fund - as well as private subscribers. The initial permit was given to excavate at the temple of Aphrodite at Paphos. 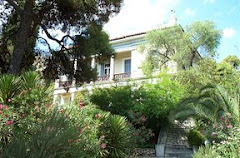 The second season included work at Poli and Limniti, and the third at Salamis. The balance of the Fund was given to the BSA to support work on Cyprus; J.L. Myres was awarded a grant for excavations on the island in 1894. Ohnefalsch-Richter, M. H., and J. L. Myres. 1899. A catalogue of the Cyprus museum: with a chronicle of excavations undertaken since the British occupation, and introductory notes on Cypriote archaeology. Oxford: Clarendon Press. Hogarth, D. G. 1889. Devia Cypria: notes of an archaeological journey in Cyprus in 1888. London: Henry Frowde. Smith, R. Elsey. 1890. 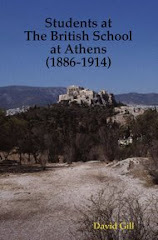 "Report of a tour in Greece and Cyprus." Transactions of the Royal Institute of British Architects.